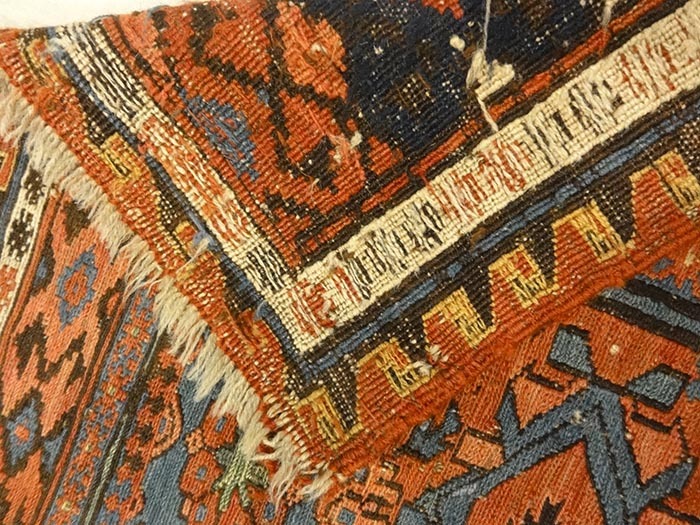 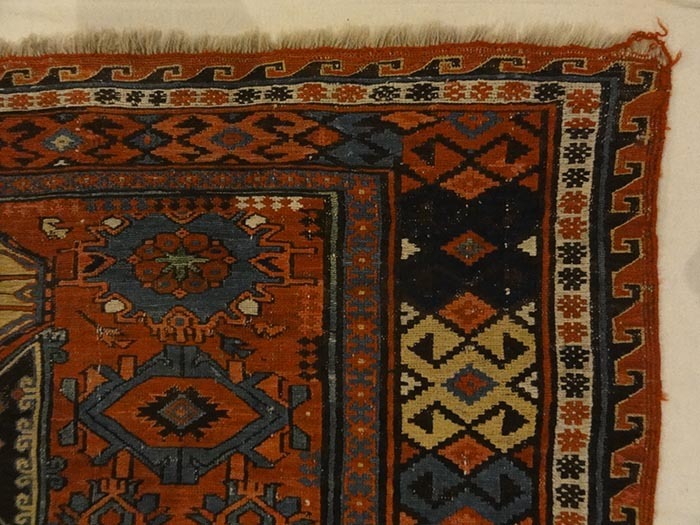 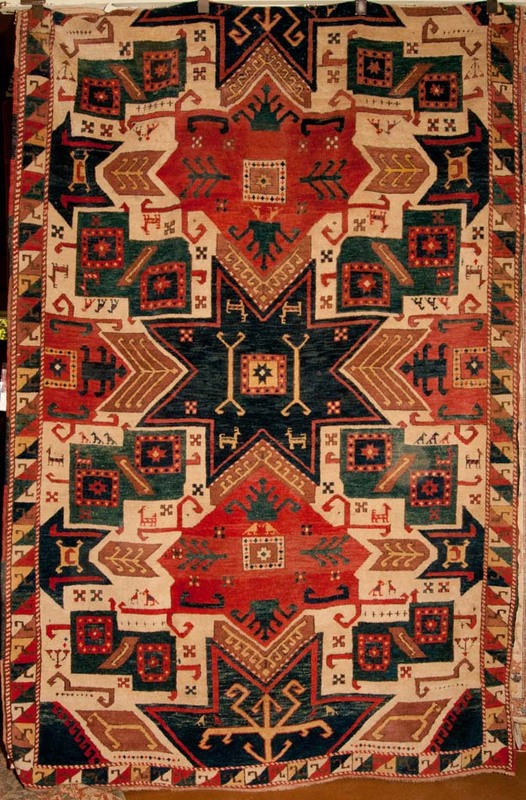 Rarest of all Caucasian rugs with star and animal figures. 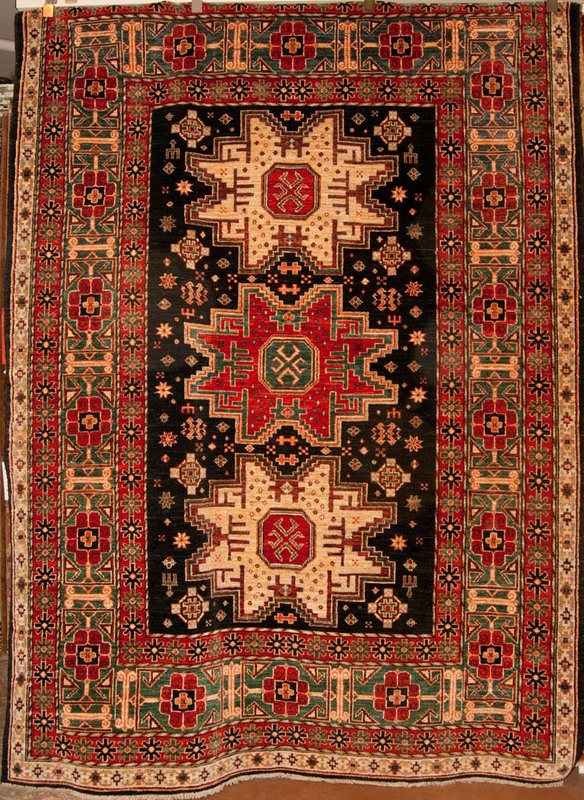 A Leshgi Star Caucasian design with a fine Kufic border. 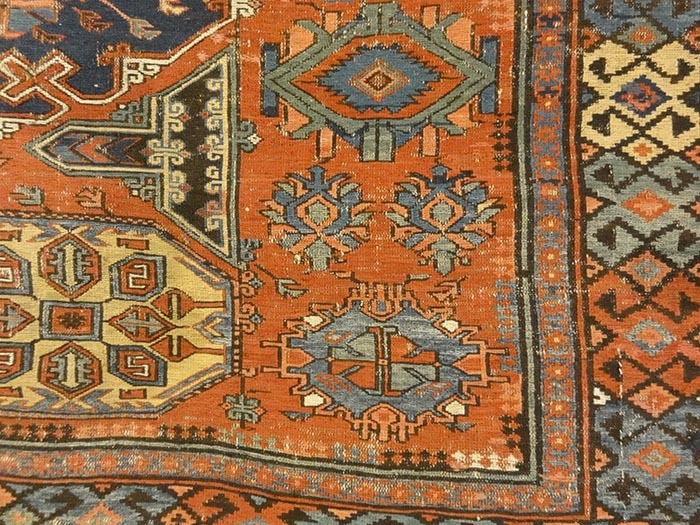 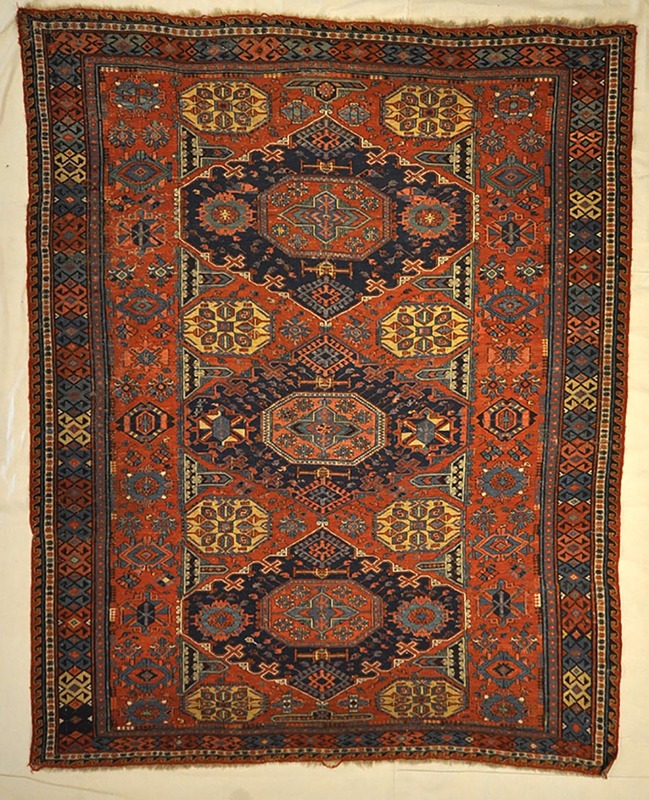 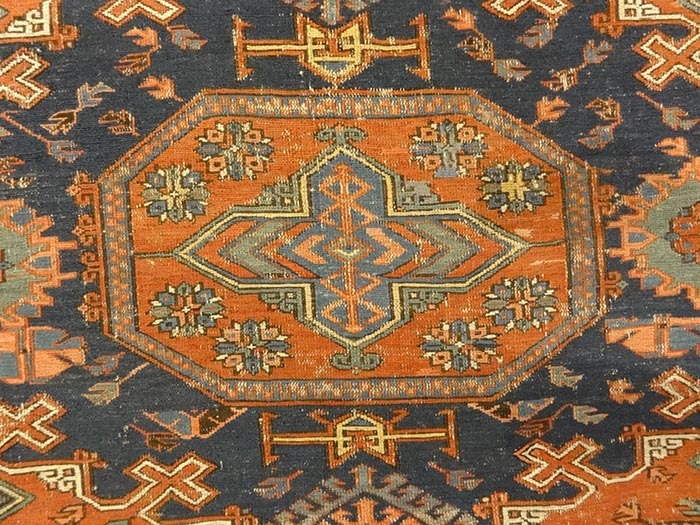 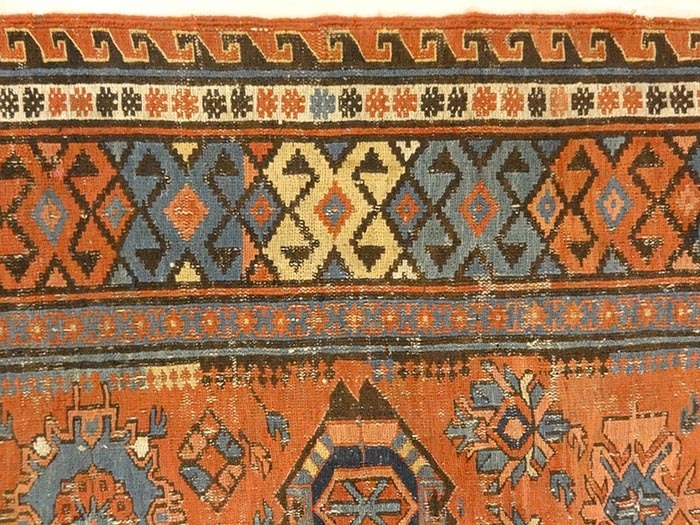 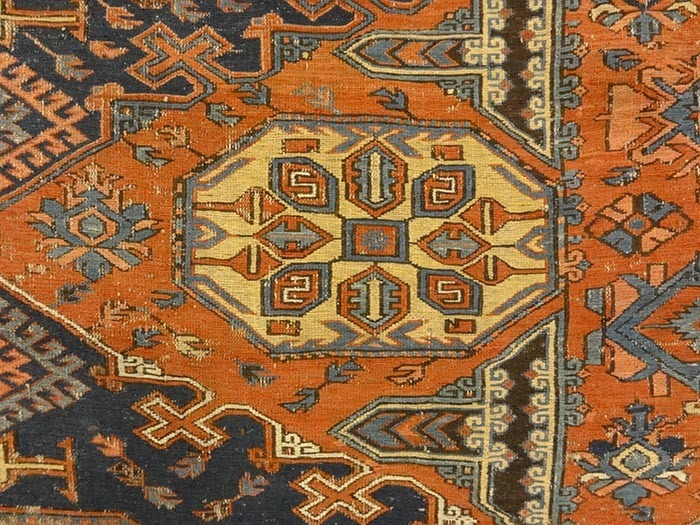 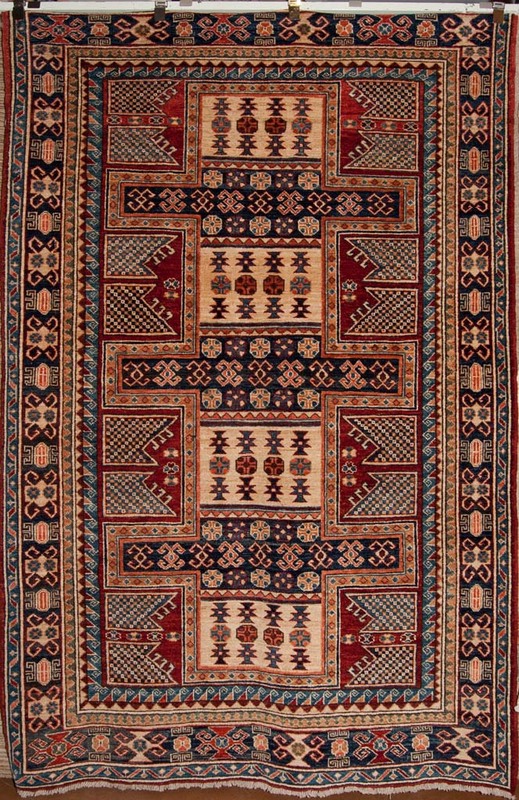 A classic and complex tribal motif from the Caucasus Mountains.